An indispensible resource for all Inspirations readers. Inspirations magazine is a collectable magazine that has been bringing embroidery projects to needlework enthusiasts for close to 20 years. The timeless appeal of the projects, the detailed and easy to follow instructions, step-by-step tutorials and full size patterns, makes each issue a valuable resource. Be the first person to tell us what you think about Inspirations Index and you'll save $5 on your next purchase! 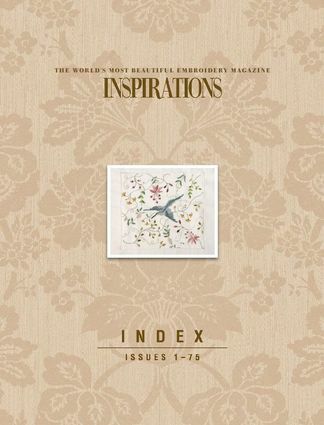 https://www.isubscribe.co.nz/inspirations-index-digital-subscription.cfm 15359 Inspirations Index https://www.isubscribe.co.nz/images/covers/nz/541/15359/square/InspirationsIndex191610245.jpg NZD InStock /Digital/Crafts & Hobbies/Textiles An indispensible resource for all Inspirations readers.